The number-one bestselling author delivers her most provocative, sizzling novel yet-a story of money, power, love, and betrayal that only Barbara Taylor Bradford could write. At age twenty-five, Elizabeth Deravenel finds herself in a position few women her age could image: the head of Deravenels, a business empire that spans the globe. It's a company whose reach is wide and whose secrets are deep. Deravenels has roots that go far back in her family's history, and she knows the price that many had to pay to see it reach the success it is today. And Elizabeth is the youngest executive in the company she now leads. Surrounded by rumors and disloyalty, she knows that there are many people who would give anything to take down the company-and her with it. With her enemies circling, she finds herself at a crossroad of choices involving her mind, her heart, and her destiny. As scandal surrounds the one man she's ever loved, Elizabeth discovers how the next move she makes could have deadly and final consequences. 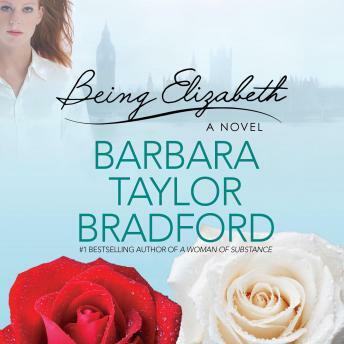 Being Elizabeth is Barbara Taylor Bradford at her storytelling best.